In an unusual heist, a group of daring thieves stole 528 gallons of gasoline from a Pasadena Mobil station early Monday morning, the LA Times reports. The thieves drove a pair of flatbed trucks to the closed station at about 2 a.m. Monday. The thieves then used a device to activate the gas pumps, and filled several tanks fixed to the trucks, said Pasadena police Lieutenant Rodney D. Wallace, as reported by the LA Times. The gas was valued at about $2,200 based on current prices. The crime was caught on surveillance tape. 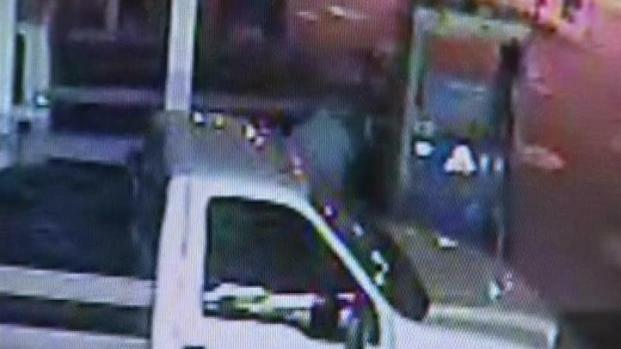 Pasadena police are searching for a group of thieves who stole 528 gallons of gas from a gas station. They think high gas prices, not terrorism, are the motive for the heist. Other stations in Southern California were also hit. The cameras showed at least three thieves, Wallace said, and it's possible that a fourth person may have been involved. They wore hooded sweatshirts so they could not be recognized in surveillance video, the LA Times reports. Police originally worried that the gas could be used for a terror attack, Wallace said, as reported by the LA Times, but the Pasadena Police Department's counter-terrorism unit discounted that idea. "We were told there is nothing that is on the radar in terms of threats," he said, according to the LA Times. "It sounds like this is more an issue with the economy and the high gas prices." Another Mobil station on Laurel Canyon Blvd. in Studio City was robbed in April. Police suspect the gas is being sold on the growing black market. "It is occurring more often, so it is something that is on our radar, and it's something on law enforcement radar, in general, across the nation," according to Lt. Alan Hamilton, of the LAPD.